The plaintiff, 125-year old chrome yellow paint, claims the defendant, 90-year old LED lighting, is darkening its bright, beautiful color. The discovery was first announced in November of 2012 when a team of scientists ran some tests using LED lighting against chrome yellow paint, specifically from Van Gogh's work, Portrait of Gauguin. As Post-Impressionist works are featured in museums today, they need to be featured in a light that enhances their best attributes. Essentially, LEDs are best way to enhance the color and the focal points of the pieces; they do not contain infrared or ultraviolet (UV) radiation. However, could it be possible they are damaging works of art from some of the great masters? To Post-Impressionist artists, like Vincent Van Gogh, color was an important feature in their art. They believed in contrast, making bright colors pop while enhancing the subtlety of dark colors. The chrome pigment, at that time, was popular as it created bold, bright colors. Discovered in 1797, chrome yellow pigment came from the mineral crocoite, lead chromate. It was used in the 1800s, but on a strict basis; the pigment would oxidize and darken over a period of time after being exposed to air. Naturally, the fact that the paint contained lead did not allow for a great reception either, leading to its early demise. 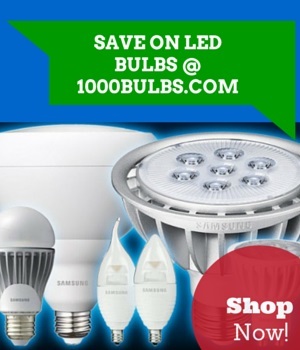 We praise LED bulbs; they are efficient, economical, and most of all, safe. They are frequently used in art museums, as the crisp, white light allows colors to pop. LEDs do not emit harmful UV rays, eliminating the risk of color degradation, nor do they emit heat from infrared radiation, removing the possibility of damage; nevertheless, it appears the bulbs seem to be slowly dulling the chrome yellow in these works. Breaking news in the courtroom! Upon further investigation, it has come to light that xenon bulbs were the culprit of this heinous crime; xenon bulbs do create heat as well as emit UV rays. While they make for bright, white light, these characteristics of xenon bulbs are not a pleasant companion for the chrome yellow paint featured in Post-Impressionist paintings. These traits do, in fact, speed up the oxidation process of the paint, thus causing the discoloration of the paintings. While some xenon bulbs have UV protection, a small amount of UV rays will still pass through. While LED bulbs caught a bad rap for a short time, they escaped the guillotine of the lighting world. These green, energy efficient bulbs will continue to light the way for our world and our museums. Unfortunately, chrome yellow paint is destined to continue to oxidize, but that doesn't mean we can't still enjoy the beauty of in these masterpieces. Imagine how beautiful and bright it was when it was first used. Comments or questions about LED lighting in a gallery? Let us know! Visit us on Facebook, Twitter, or Google Plus!